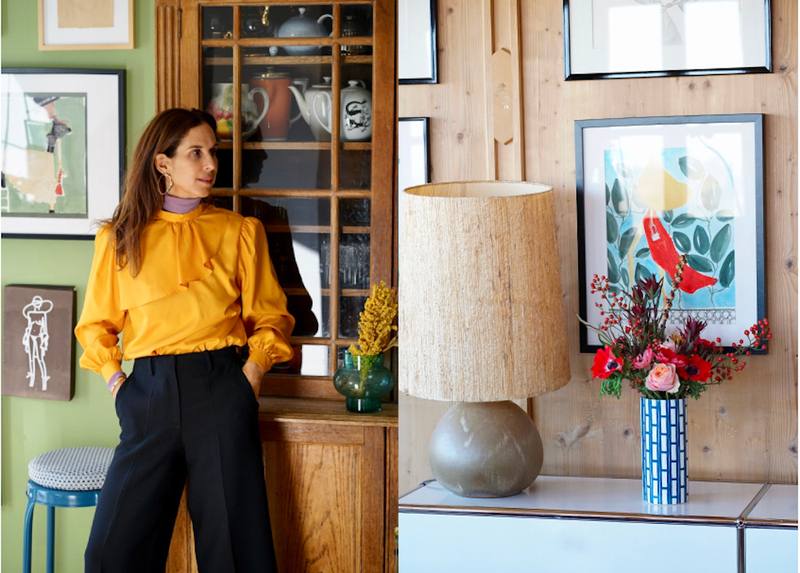 When Nora Khereddine arranged flowers for our Festive Season Story you can tell that she is a style editor from ELLE DECORATION magazine rather than a florist . Weather it is a private or corporate client, her flower arrangements are like sketches matching their environment, not necessary by the same colour but in its own special way. How does she do it? IRMA: How do you start a project? NORA KHEREDDINE: It very much depends on the client. I don’t have a shop where people can choose what they want at any time, so they first and foremost have to trust me and my taste. My clients often come from creative fields too, so our collaborations are mostly based on a similar understanding of aesthetics. They usually give me the freedom to choose whatever I want within a given budget. I go to the flower market at around 5.30 am and buy what catches my eye and looks good together. If a client wants a particular flower, I usually order a few days in advance to get the freshest and best quality. 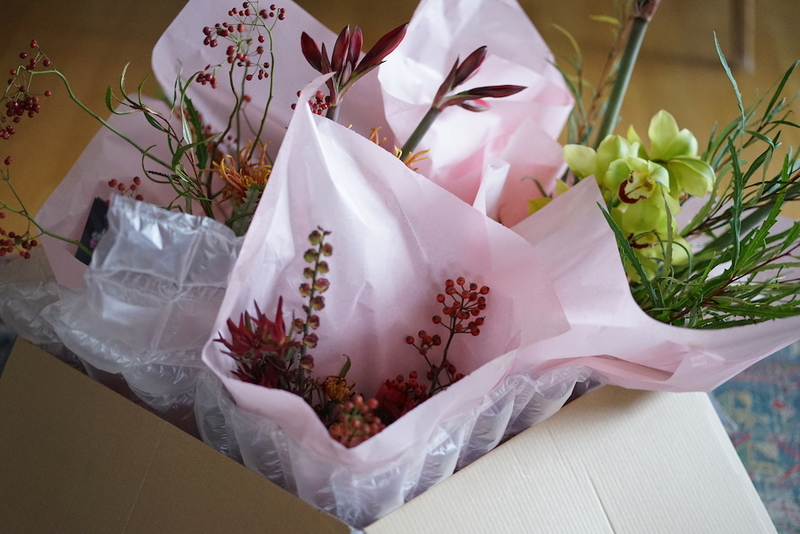 Then I go back to my nearby studio – either on foot or by bicycle as I am probably the only one in this field who doesn’t have a driver’s licence –, prepare all the flowers and foliage and start working on my arrangement or bouquet. Usually I am finished by lunch time – depending on the extent of the project. Then it’s time for paperwork and other jobs. 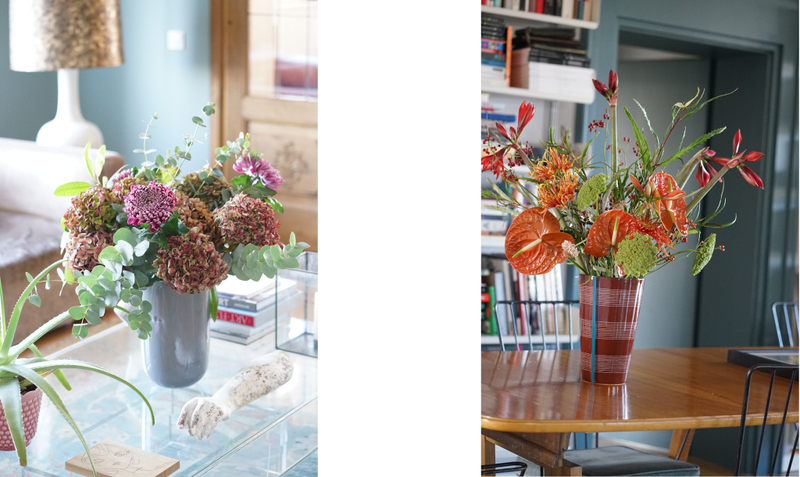 IRMA: Are flower arrangements like a sketch or drawing where you start with a line and built up an image? NORA KHEREDDINE: Yes. I always start with one stem, be it a flower, some foliage or herbs adding more and more to get nice combination of different textures. Sometimes I remove single stems in the end, if the arrangement or bouquet looks to heavy and compact. I like things rather light and airy. IRMA: How did you start first working with flowers? NORA KHEREDDINE: Flowers have always been a passion of mine. As a child, I always wanted to have my own flowers in my room, even if it was only one stem, I stole in our neighbours garden. It was in 2017 that I started to read books about floral design, practise and took workshops in London. As I ‚ve been working as a text and style editor and stylist for different magazines for more than ten years now, floral design was never meant to be something I wanted to do full-time to be able to pay my rent but more like a missing part of a puzzle, an addition to my overall creative image. I am not classically trained and am therefor not allowed to call myself a florist. IRMA: What was your most fascinating experience with/in nature? NORA KHEREDDINE: When working with flowers it is every single stem that fascinates me: the glossy. artificial looking surface of an anthurium, the fragility of a poppy or a coral pink peony that fades into white within a few days. But it is also experiencing nature through the eyes of my two-and-a-half-year-old daughter who discovers so many new things every day and greets every ant and spider, however terrifying it might look for me. 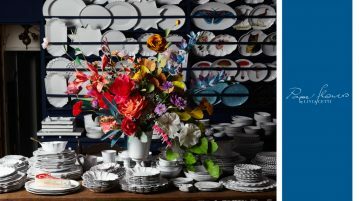 IRMA: Is there a rule or trick when it comes to using flowers and color in a room? NORA KHEREDDINE: There is certainly not only one way and I am actually a bit bored by the idea of colour coordination. As my shoes and bag never have the same colour and I find such rules quite out of fashion, I’d say, do whatever pleases you, break the rules and see what happens. 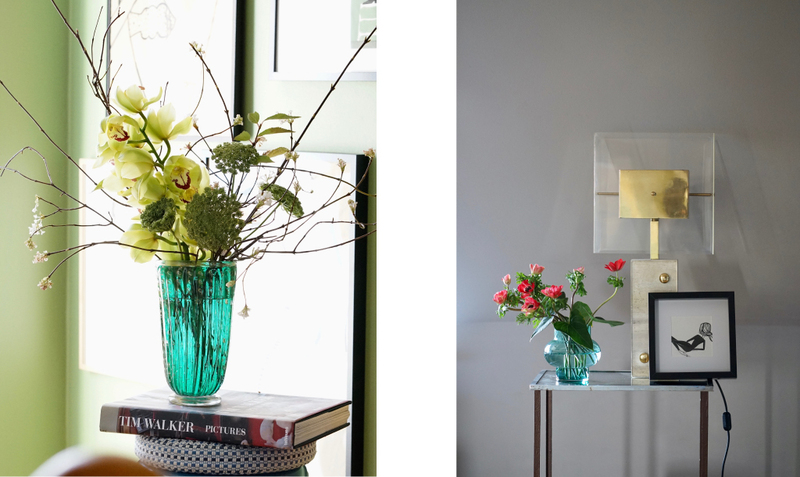 There is only one exception: I have an art gallery as a client and for them I always try to build a connection between the flowers and the displayed artworks – either by colour, texture or thematically. IRMA: Talking about the festive holiday season can you give us some tips for a quick and effective decoration when friends are coming over? 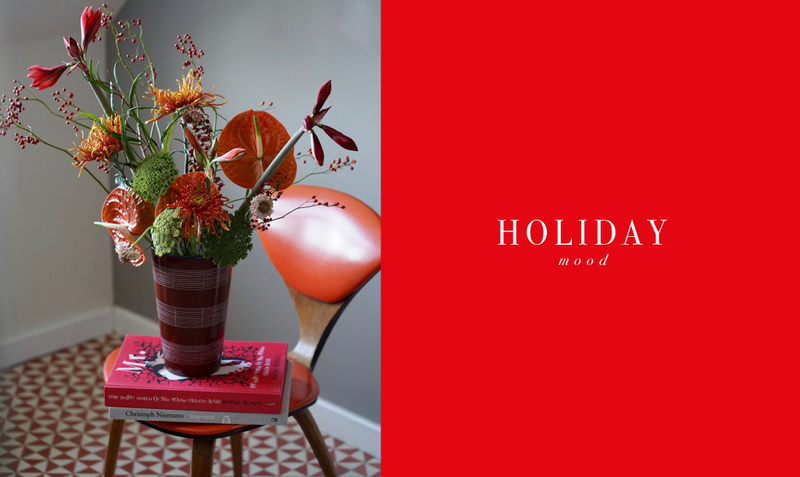 NORA KHEREDDINE: Cut some branches in the woods or you might even find some in your backyard, add some leaves, poison ivy or Japanes skimmia for example and buy a bunch of red anemones or amaryllis. 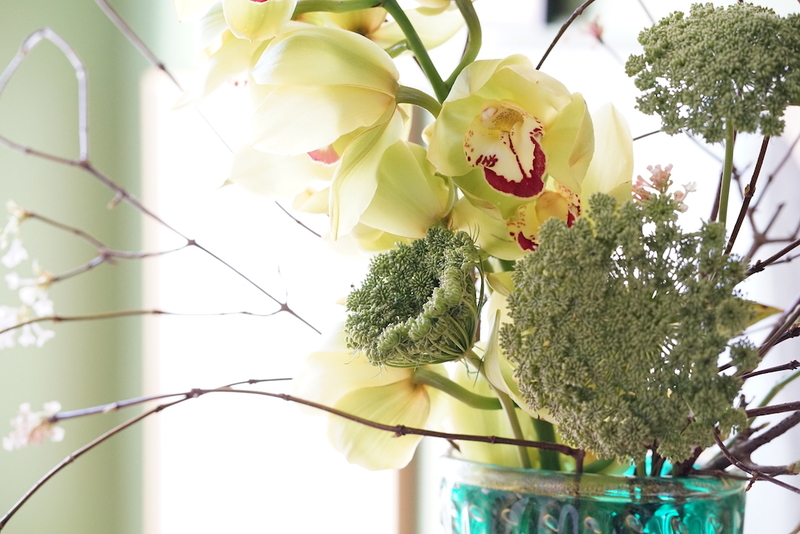 Use the branches to give your arrangement some structure, then add the flowers and leaves. 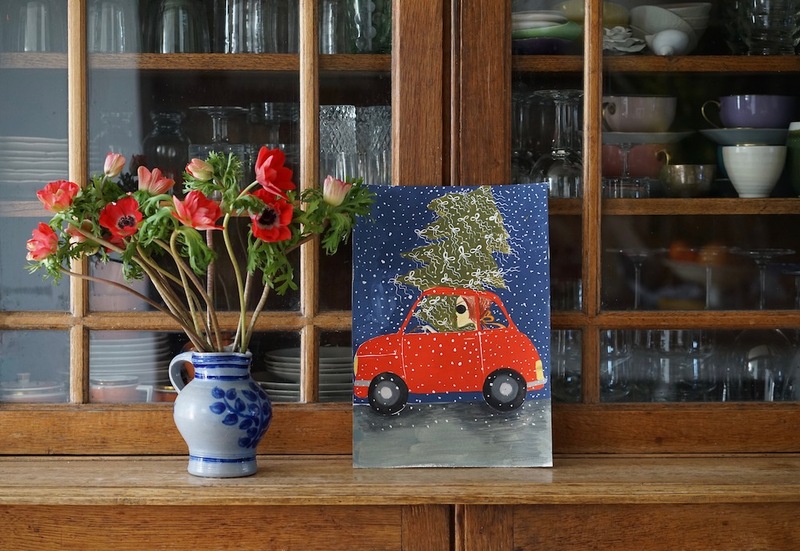 You might place your high arrangement not on the table between your guests but on a sideboard or mantelpiece. If you absolutely want something on your dinner table, buy a bunch of eucalyptus and place some small branches on every plate. As simple and as effective as it gets. IRMA: How can you make a bouquet shine and last for a long time? NORA KHEREDDINE: It is very simple and no secret. Remove all the leaves that might be sitting under the water line, give the stems a fresh cut every now and then and most important: Change the water regularly. ABOUT: Nora Khereddine was born in Zurich and has been living in Munich for more than a decade. 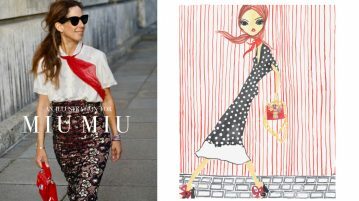 She’s been working as a text and style editor for magazines such as ELLE Decoration, Glamour and SZ Magazin Stil Leben. In 2018 she opened her own business „Atelier für Blumen”, a flower studio specialised in making beautiful floral concepts come to life in Munich.